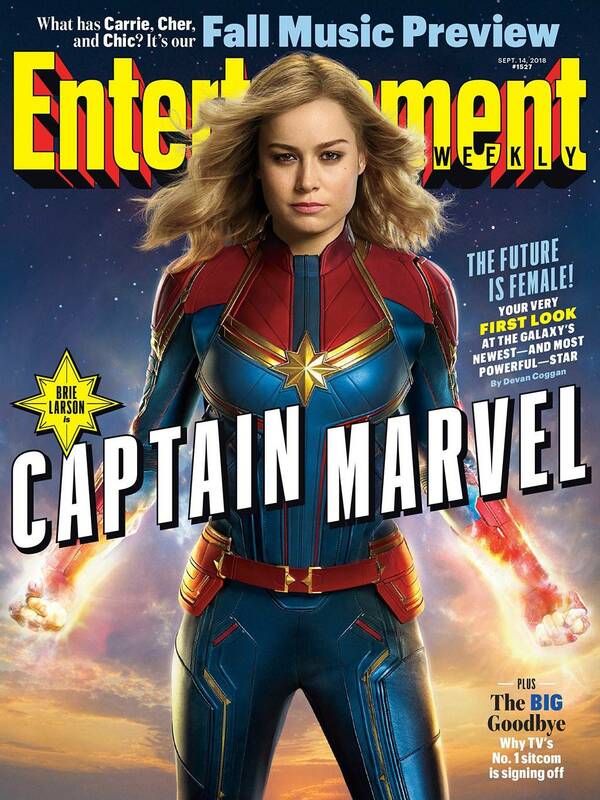 Brie Larson suits up for her first official magazine cover as Captain Marvel. Entertainment Weekly debuted the very comic-book-accurate Larson as the next big thing in the Marvel Cinematic Universe – and the Avengers’ best hope of undoing the damage caused by Thanos. Captain Marvel’s debut is highly anticipated given the events of Avengers: Infinity War. In the movie’s end-credits scene Nick Fury sent an emergency message to Captain Marvel before disappearing, setting her up as a game-changer in the battle with Thanos. But before she joins the remaining Avengers in May next year, the part-Kree, part-human air force pilot will star in her own origin story. Set in the 1990’s, Captain Marvel follows Carol Danvers as she turns into one of the galaxy’s mightiest heroes after the Earth is caught in the centre of an intergalactic conflict between two alien worlds. Not only is Captain Marvel the first solo, female-led movie in the Marvel Cinematic Universe, it’s also an introduction to one of the most powerful heroes the MCU has ever seen. The movie’s star-studded cast includes Jude Law, Ben Mendelsohn, Annette Bening, Gemma Chan, and Lee Pace. Samuel L. Jackson and Clark Gregg reprise their roles as Nick Fury and Agent Phil Coulson respectively.